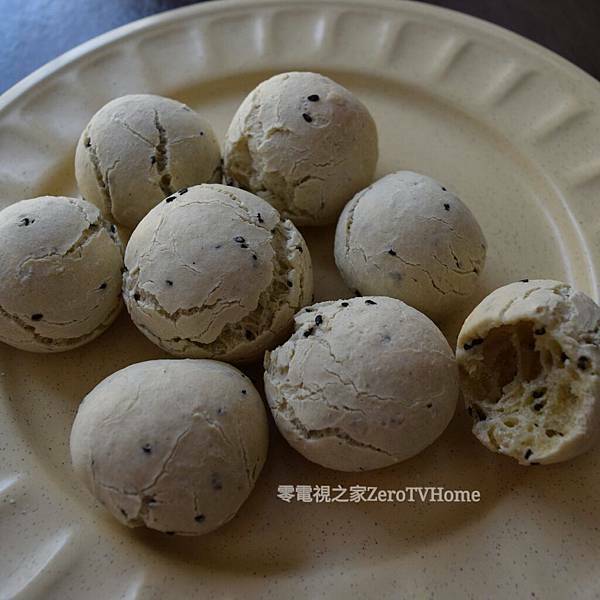 I LOVE the slightly chewy texture of Korean breads so bought a package of Sesame Tapioca Bread Premix from a Korean grocery store. The texture is crunchy on the outside and chewy in the inside, with just enough of sweet and salty flavor. 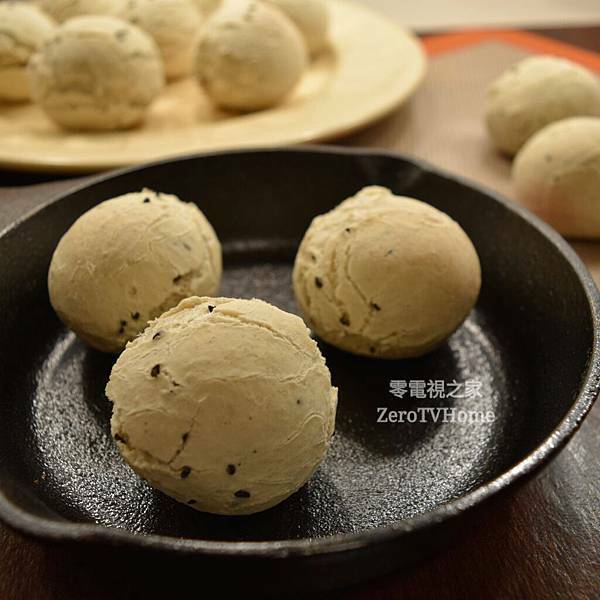 It's very tasty and has become popular in eastern Asia. 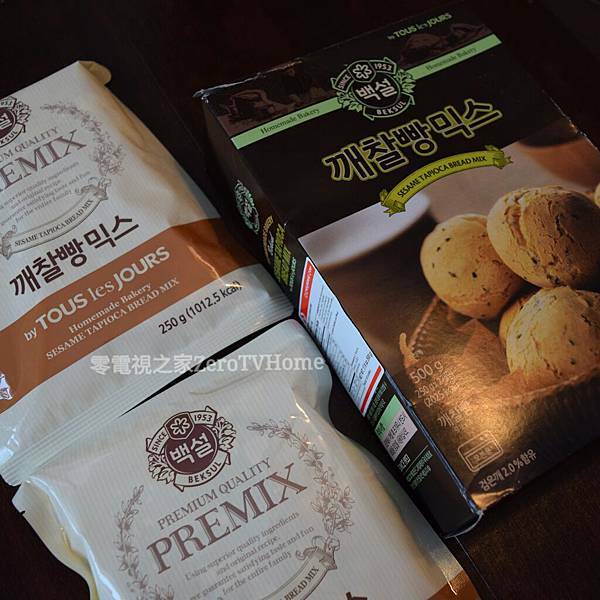 With a package of premix you can easily make the mochi breads in around 45 minutes. Unfortunately the instructions were all in Korean, so I had to translate it by myself. Although the package suggested 90 ml of water, I found using about 70 to 80 ml is enough. 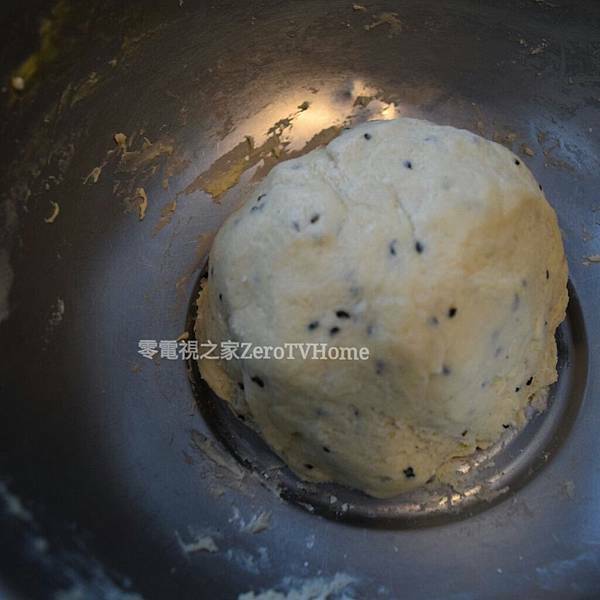 Adding 90 ml water will result more chewy and dense texture. You may add the amount of water you prefer (between 70~90 ml). Substitute water for milk if you like. 1. 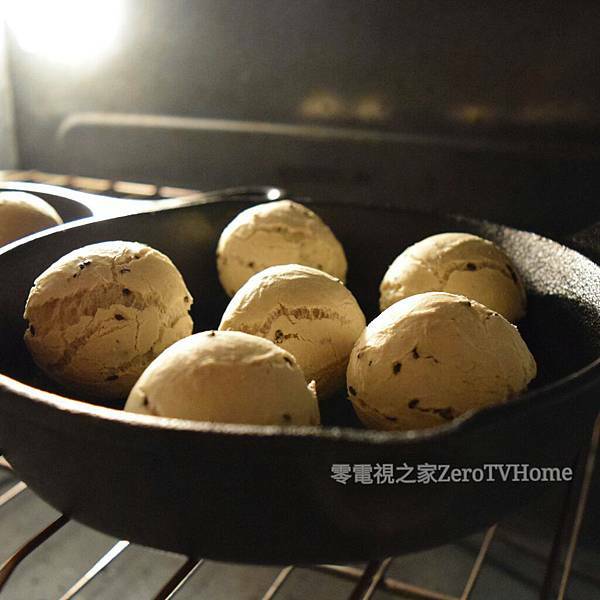 Preheat oven to 350°F (or 180°C). Put the ingredients in a large bowl. 2. 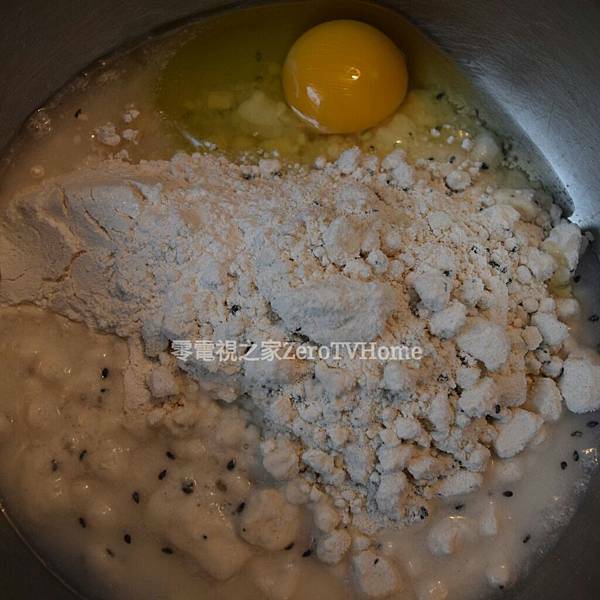 Mix everything until it forms a ball-shaped dough. 3. 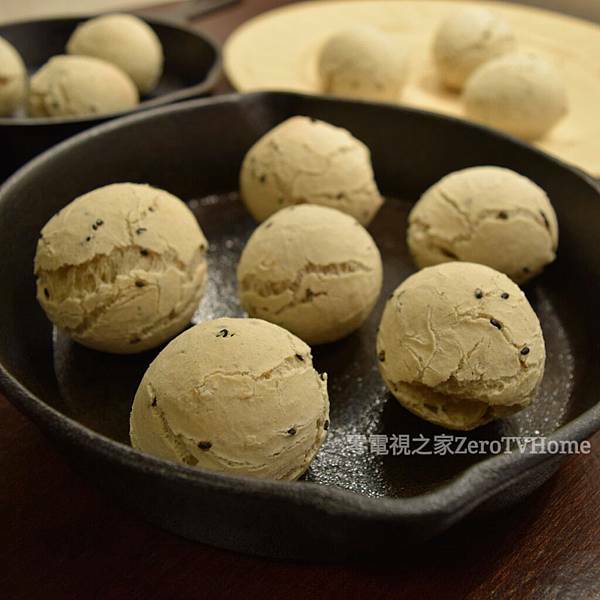 Use your hands to divide the dough into 10-15 round balls, each weighs about 35~40g. 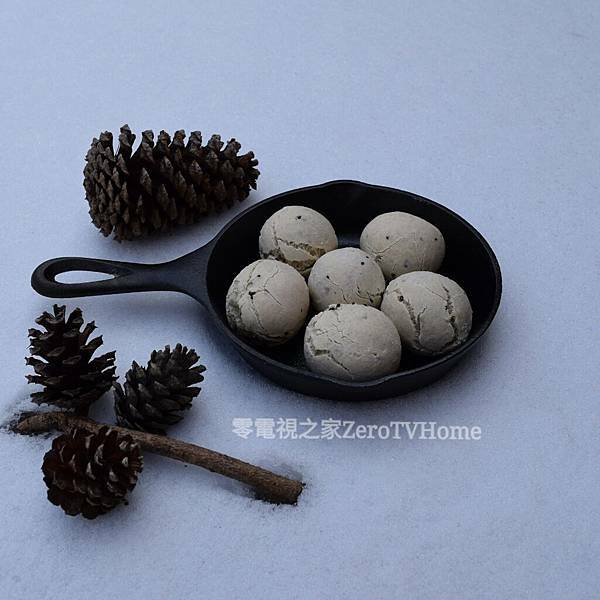 I prefer using a small ice cream scoop to create many small balls. 4. 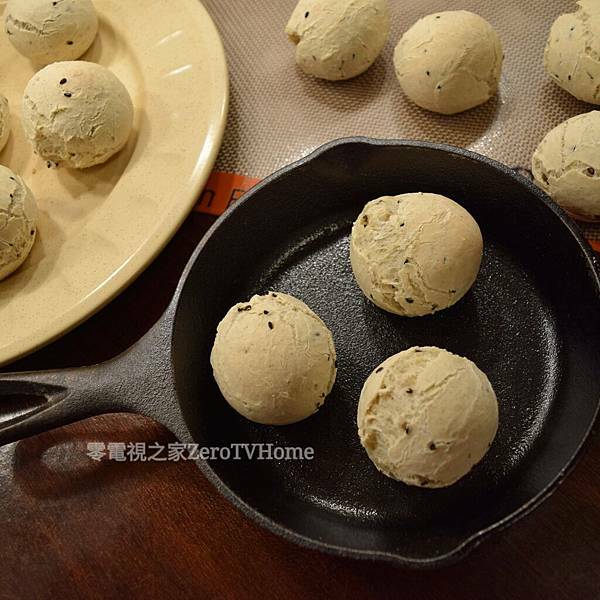 Place the balls 2 inches apart on a silicon baking mat (or parchment paper). 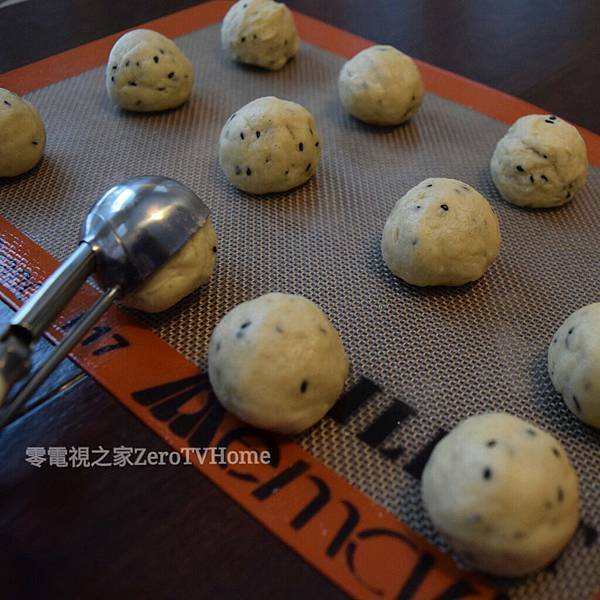 Spray some water on the dough before baked. 5. 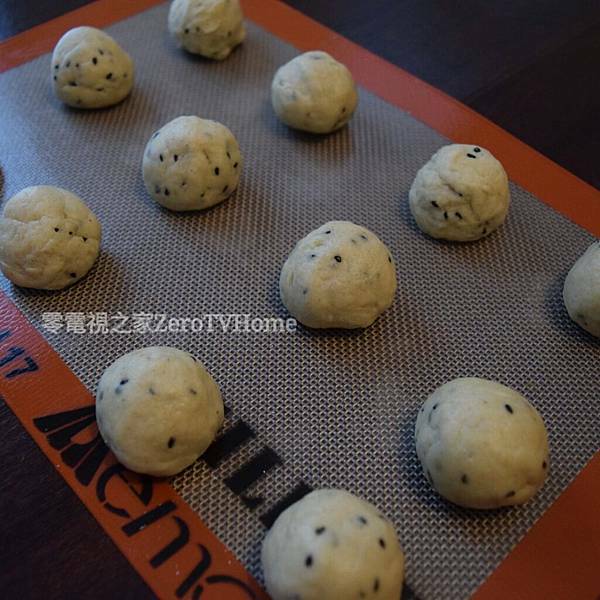 Bake for 30~40 minutes until the breads are puffed and slightly golden brown. Spray some more water in between the baking time to make the bread crust crispier.